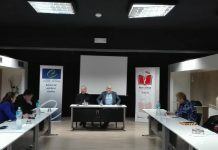 The School of Public Policy “Mother Teresa” is part of a network of twenty one of political studies organized in cooperation with the Council of Europe. 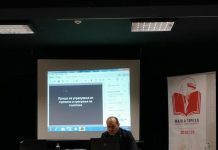 Since the creation of the first school of political studies in Moscow in 1992, by a group of civil society activists seeking to promote democratic values these schools were established to train future generations of political, economic, social and cultural leaders in countries in transition. They run annual courses of seminars and conferences on topics such as European integration, democracy, human rights, the rule of law, and globalization, with the participation of national and international experts. To enhance public dialogue and media debate by fostering appreciation of the values of liberal multiculturalism, encouraging participation, inclusion and the free exchange of ideas. 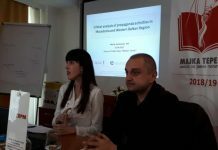 The themes covered by the School are: Improving Public Policy; Issues in Euro-Atlantic affairs and enlargement; Liberal multiculturalism in theory and practice; and Current Issues in Macedonian and Western Balkan politics. In principle the School lasts from October to June and typically offers: four weekend courses, CRPM discussions and a World Forum for Democracy at the Council of Europe. The weekend courses have an intensive program of lectures, workshops and debates. The CRPM discussions are offered by eminent persons whose introduction of 22 minutes and 22 seconds is followed by Chatham House rule discussion on topics related to the themes of the School. The Strasbourg World Forum for Democracy is an annual gathering of leaders, opinion-makers, civil society activists, representatives of business, academia, media and professional groups to debate key challenges for democracies worldwide. All participants must speak and write fluent English and Macedonian. The participants must attend all the weekend courses, and a number of CRPM lectures followed by a discussion. They are expected to fulfill the tasks assigned to them at the lectures. Diplomas by the Council of Europe and CRPM are awarded at the end of the academic year. 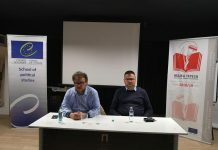 Participants are mid-career professionals (25-45 years) in the public and private sectors, selected on the basis of the following criteria: advanced knowledge in the field of public policy; readiness to work on improving liberal democracy in Macedonia and minimizing poverty in the country; and multicultural values. In the selection process we take into account that participants with different political, social, cultural, gender and ethnic identities in the country are represented. We expect the participants to be fully involved in the whole educational process. We see them as future partners, who will together with the lecturers and guests, build a new political and governmental culture. The School of Public Policy “Mother Teresa” was officially launched on 28 of January 2011.